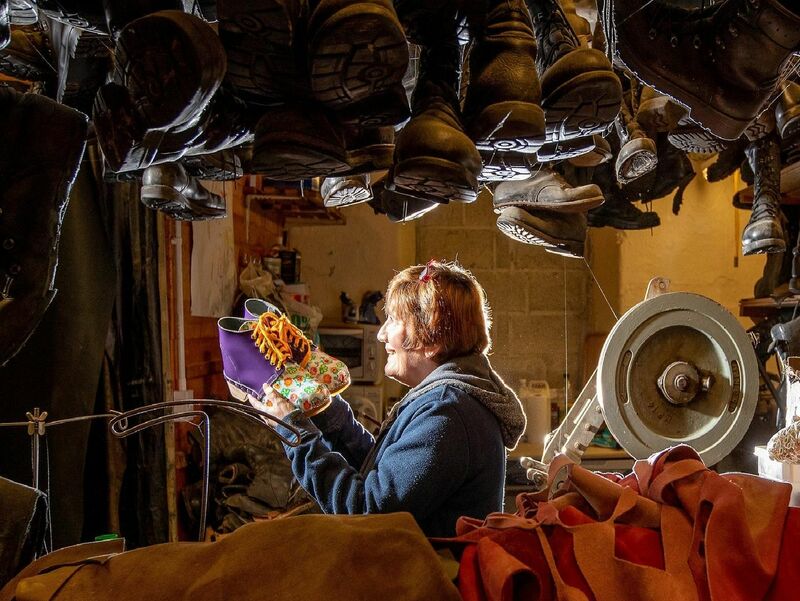 For generations of Pennine folk, they were the footwear of choice, but the traditional art of Northern clogmaking is practised now by only a few remaining craftspeople. However, Sue Greenwood and her husband, Alan who run Walkley Clogs at Mytholmroyd, near Hebden Bridge, have made a concession to modern tastes by putting their range online. British clogs, unlike the Dutch variety, are made with leather uppers but are distinguished from shoes by the use of wooden soles, attached by nails. We cant make as many of them as we would like, Mrs Greenwood said. Were dealing with natural materials and you only need a split in the wood and youre back to square one. She added: Almost everyone round here used to wear them. One of the older people told us that when he was at school, only one person wore different footwear, and she was the bank managers daughter. But the fashion for imported shoes from the 1950s onwards reduced clogs to a niche market.